Microsoft has officially unveiled a new Xbox Adaptive Controller specifically targeted at gamers with disabilities. It will be available later this year for $99.99 exclusively via Microsoft Store and has been years in the making as a ‘passion project’ inside the company. 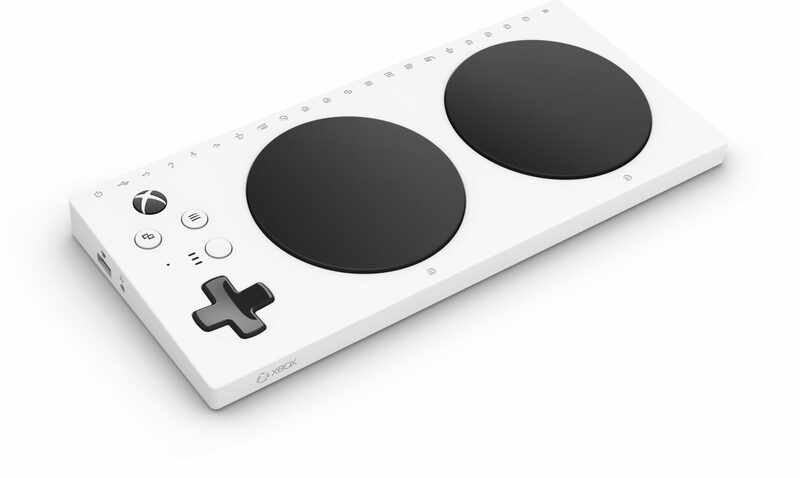 To make the Xbox Adaptive Controller a viable solution for the widest possible range of gamers with limited mobility, we’ve worked closely with third-party manufacturers to support external inputs which can be plugged into the new controller. These inputs include PDP’s One-Handed Joystick for the Xbox Adaptive Controller, Logitech’s Extreme 3D Pro Joystick, and Quadstick’s Game Controller. We couldn’t be prouder to have their support in introducing the Xbox Adaptive Controller. More recommended partner devices can be found here. More information about the peripheral, perhaps including pre-order availability, will be shared during Microsoft’s Xbox E3 2018 Briefing, due on June 10th at 1 PM Pacific Time.